Kohima, May 23 : Phony honey that is syrups containing illegal antibiotics is often dumped in India by China. This has emerged as a big threat to the industry. 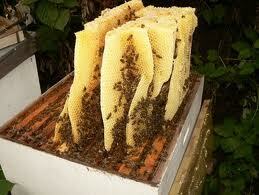 Northeast India especially Nagaland is emerging as honey producing destination. The per capita honey consumption in Nagaland is 165 grams while nationally it is 8 grams. Nagaland Beekeeping and honey mission (NBHM) which started operations in 2007 is presently producing 380 metric tones (MT) of honey. The mission has a turnover of Rs 12 Crore. This came to light during the national conference on beekeeping and honey industry organised by North Eastern Regional Agricultural Marketing Corporation Limited (Neramac) and Federation of Indian Chambers of Commerce and Industry ( FICCI) in Guwahati on Wednesday . Bulk of the production in the Nagaland is sourced from four districts of Phek, Tuensang, Kohima and Zunheboto.